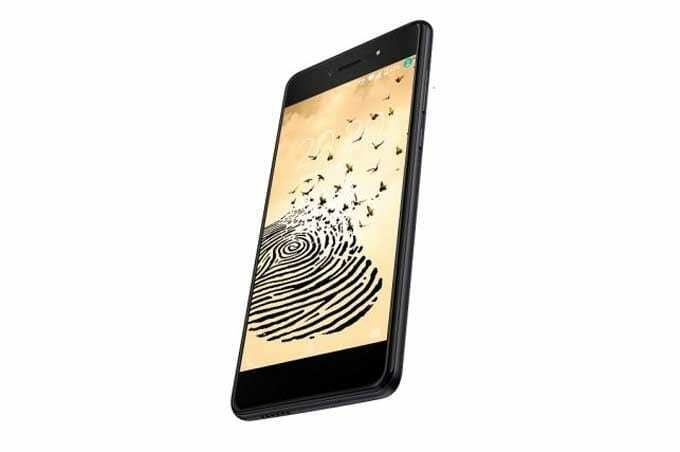 One of the recent additions to the low budget smartphones is here from Fero, a company that has been able to deliver a number of impressive smartphones in time past. The Kenyan based company although still young has some good smartphones in its portfolio. The Fero Pace 2 Lite is one of its latest product and it comes at a lesser price and specs compared to the original Fero Pace 2. The Fero Pace 2 Lite is quite like the Pace 2 as it features the same polycarbonate and plastic body. As well as the same overall design with just a little downgrade on the inside. It features the conventional three offscreen capacitive touch buttons and average bezels on the side. However, the smartphone’s overall ergonomics seems quite alright. As a budget smartphone not much is expected and what the Fero Pace 2 Lite brings to the table is what other smartphones in its category have. I am taking about a 5.5-inch 1280 X 720 pixels display. This is one of the smartphone’s that features a little higher than the average battery capacity. The Fero Pace 2 Lite comes with a 4, 000mAh Li-Po battery which is quite impressive and is surely an advantage over the fierce competition in this category. Camera-wise you get about the same thing with the original Pace smartphone. The Fero Pace 2 Lite features a 13MP rear camera with LED flash and a 13MP front camera which should give you good pictures with enough light. Inside, things are kept pretty basic being a low budget device and a Lite version at that. In that regard, the smartphone features a Quad-Core MediaTek MT6737 clocking at 1. 3GHz . Also, there’s an ARM Mali-400 MP2 GPU for handling graphics rendering. In addition, there’s 1GB RAM and 16GB internal storage with an expansion limit of 32GB using a memory card. The smartphone boots on Android 7.0 Nougat from the box. The Fero Pace 2 Lite is widely available for sale in various online shopping platforms and smartphone retail stores around. It costs about 32, 000 Naira to 38, 000 Naira depending on your location and the deal.